I have been feeding the birds and squirrels some seeds and fruit lately. 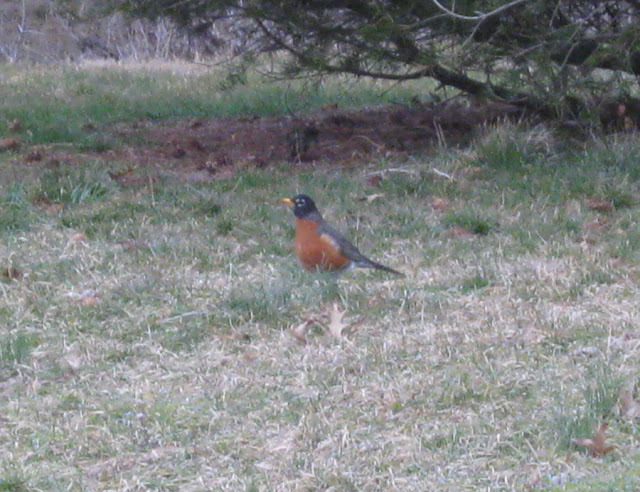 The last week I've been wondering when I will see my first robin of the season. Today, when running downstairs to do a load of laundry, I saw the familiar color orange off in the distance out the back door. It can't be... I ran upstairs to get my camera thinking it would surely be gone by the time I reached back downstairs.